The two traditional Limestone cottages nestle in a quiet hamlet of Carr Bank 1 mile away from the scenic seaside village of Arnside. 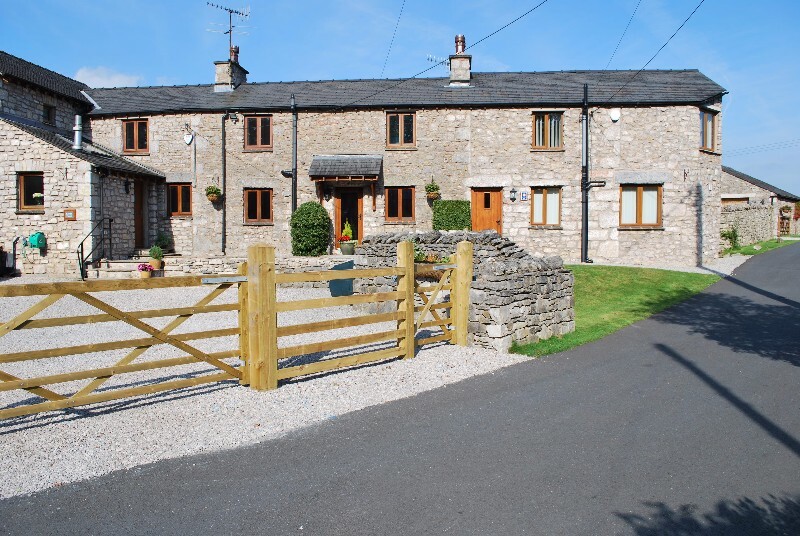 Both cottages have been recently renovated, assessed by Visit England as 4 star Gold award and Walker friendly. Outside is a separate drying room with a washer, dryer, boot and welly racks, coat hanging and an airer designed especially for walkers and ramblers. The smaller cottage sleeps 4 plus 1 infant under 2, this cottage is pending assessment by Visit England as it is a new introduction, similarly decorated to the large cottage, it has two upstairs bedrooms a super king en-suite with separate bath and shower enclosure, the second bedroom has a king size bed that can be split (on prior request) to a twin. Both rooms have excellent bedroom furniture and comfy beds. The lounge is spacious, comfy leather sofas, a wood burner and a 42″ Smart TV with Sky & sky sports package, Blue-ray DVD/CD, the kitchen diner has modern units all the mod cons including integrated Fridge Freezer, dishwasher a dining table that seats 4 adults comfortably, the utility has a washer dryer, coat hooks & a boot tray, off road parking for 2 cars & BBQ facilities.